EUParliament USA+Security Commitee Leader Ehrel to EF: STOP Turkey Invasion in Syrian Kurds' Afrin ! Home newsitems EUParliament USA+Security Commitee Leader Ehrel to EF: STOP Turkey Invasion in Syrian Kurds' Afrin ! *Strasbourg/EU Parliament/Angelo Marcopolo/- The New President of EU Parliament's Delegation for the USA, as well as vice-President of its Defence/Security Committee, German MEP from Bayern, (Host of the World-Famous "International Security Conference" annually), a ChristianDemocrat/EPP of the Governing Coalition, Christian Ehrel, speaking to "Eurofora" the Same Day that the Plenary of EU Parliament's Weekly Session in Strasbour, after a Public Debate on Tuesday, was Voting an important New Resolution on Syria, including on the Turkish Military Invasion in the Syrian Kurdish Canton of Afrin, which has Now, notoriously reached a Crucial Point, as its Capital City, reportedly hosting some 600.000 People, including many Refugees, has been surrouned and attacked by Turkey's Army and its Islamist Extremist Jihadist Armed Gangs, clearly found that there is any Interest to "STOP" such a Bloody Turkey's Military Engagement, which also Risks to "Destabilize" the region. 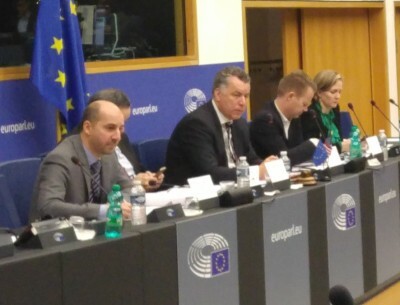 - "Eurofora" had Questioned the EU Parliament's USA and and Defence/Security Committees' Leading MEP, about his feelings on such an exceptional and crucial "ConJunction of Human Rights, GeoPolitics, and Security issues", as the Turkish Military Invasion to Syria's Kurdish Afrin canton, which notoriously Affects Both Many Civilian People and the Best Local Ally of the US-led International Coalition against the Deadly Islamist Terrorists of ISIL's Coward Killers Targetting innocent Civilian People throughout Europe, including also Russia, but even in the USA, etc. 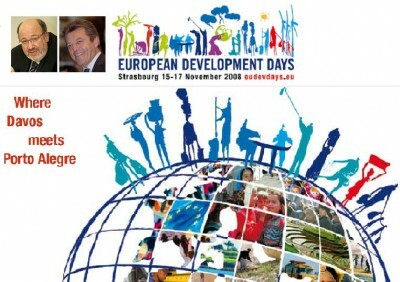 - Europe could, "Sure", be more Active on that Topical issue, President Ehrel agreed with "Eurofora" from the outset. - "The Problem, right now, is that this is Linked with the (Wider) Syrian Conflict, which is, more or less, Influenced by Foreign Powers", told us, in Reply, the Top MEP of the Governing Coalition in Germany. - In particular, Nowadays, "the Question arises : - "What is Turkey going to do ? ", he pointed out. - "And, I know that a Lot of People are, acturally, Worried", both in Europe, in the USA and elsewhere, , "about the Kurds, etc", (in an Area where more than 360.000 Displaced People also from Various Other Communities had found Refuge in Afrin's Canton, according to International Organisations' data, already Since 2016 : Arabs, Alevi, Yazidi,, Christians, etc). - "Alhough", YPG might be "a fairly Socialist, or Stalinist Party, we should overlook that, Because, in Fact, it's just the Ombrella Organisation of (all) the (National) Kurdish Interests", in general, he observed realistically. => Thus, "in terms of Containment, I think that there is any Interest to get the Turks to STOP that kind of (Military) Engagement", the Leading MEP of EU Parliament's USA and Defence/Security Committees stressed. - "Because, First of all, it's very likely that it's going to be a Bloody Fight for the Turks", themshelves, he observed, (while London-based NGO "Syrian Observatory on Human Rights", and others, have already, repeatedly Noted Bigger Number of Casualties among Armed Fighters, on Turkey's side, than on the Syrian Kurdish, as far as strictly Military staff is concerned). - Moreover, "it could DeStablize also Turkey (itself), in a way", "Specifically in the (Turkish) Kurdish Regions", he naturally Warned. + "Secondly, I think that, Still, for the Americans, the Problem is that if the Kurds withdraw (in the Fight against ISIL's Deadly Islamist Terrorists : Comp. Supra), the Next Time they (USA) will Have to Intervene themselves". >>> "So, the Question is if Erdogan is going to (further) engage in a (fully-fledged) War on the Ground, in a(en even) Longer Perspective", or not. => - In that case, "then, the Situation is going to Explode, from my point of view ! ", EU Parliament's USA + Security/Defence Committees' Leading MEP sternly Warned. - "Or, if he (the Turkish President) Needs that Only Politically, (i.e.) in order to Show some <<Strength>>, Before the (forthcoming) Elections" of 2019 inside Turkey, he speculated. - In this case, then, "I think that (from Turkey's point of view) Much will be Decided After the Elections" of 2019. - Also "Because Erdogan is really Worried that they are going in the Wrong Direction", the Exerienced European MEP from German felt. - "They (Ankara's current Government) had (initially) perceived that it was going to be an Easy Win", he reminded. >>> - "But, Now, all out of a Sudden, it does No longer seem like that...". - Particularly, "as Coffins (of Killed Soldiers, Jihadists, etc) are Comming back from the Borders", (Comp. Facts evoked Supra). - "And, so, in my view, the (overall) Setting (from Ankara's Side) is going to be Decided After the Turkish Elections" of 2019, "because then you can count what will be Ankara's position in all that", he reiterated. + "Russia, though it has no (particular) interest to stop that, But, Also, No interest at all to put Oil in there, in this situation", EU's Top MEP added, as far as GeoPolitic realities are concerned. - "It will have a Lot of Influence", particularly "in terms of the (Arab) Sunni Community", the Experienced, Top EU MEP estimated, in this regard. (Timely speaking just after a Crystal-clear and interesting Reaction by UAE's Foreign MInister Gargash Against the Turkish Foreign Military Invasion of Syria's Kurdish Canton of Afrin : See ... ). " - "But, is it going to Work (further enough) ? ", he wondered, particularly after USA's "First Attempts to play there a more Active Role, well Beyond just signing the Pay-Check", (i.e. also Politically), as he noted, expressing EU's Interest to find out. + In Addition, according to EU Parliament's USA Desk Officer Alexandros Karides, who works for the EU - USA Inter-Parliamentary Committee, (due to Meet in Full on June 2018, in Varna, Bulgaria : the current EU rotating chairholder), the "US Congress is very Upset about (what's going on in) Afrin", and "they (US Congress) put a lot of Pressure" on that Issue. => - So that, it seems that "the (USA) State Department and the Presidency (at Don Trump's White House) will Try to Mediate Something". (Inter alia, perhaps, also, f.ex., "in terms of American Troops standing in front of those Villages", so that, probably, "there is no way of going inside" for Turkey's Military and/or its Extremist Islamist Jihadi Armed Gangs' proxies, etc). ++ Meanwhile, the New USA State Department Secretary, after Tillerson's withdrawal, (Announced Earlier this week by US President Don Trump himself), Mike Pompeo, notoriously comes also from US Congress, where he had served for a Long Time in the Past. 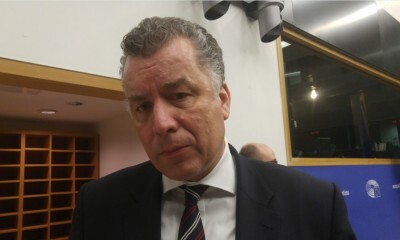 - Today, EU Parliament's USA Delegation Chairman, MEP Christian Ehler, said to "Eurofora" that he "Knew Pompeo, from the NSA", i.e. the North American "National Security Agency", while Pompeo recently had been named by President Trump as CIA's Chief, (where he will be succeeded, Now, by Gina Haspel, an Experienced CIA veteran and, until now, its Deputy Director). Pompeo, (who needs also an US Congress endorsement procedure, Before he fully assumes his New Task), is, reportedly, due to Visit Brussels, inter alia, for relevant NATO Meetings there. >>> By an Astonishing "Coincidence", Tillerson's replacement by Pompeo was Announced in Public by a Short and Sharp "Tweet" of US President Don Trump, on Tuesday, 13 of March : I.e. 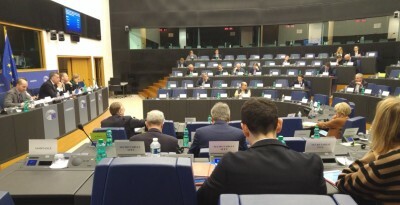 After the Beginning of this Week's EU Parliament's Plenary Session for March in Strasbourg, when it was Officially Confirmed that it would hold a Public Debate and Vote on a New Resolution on Syria, which would Include Afrin, as it became obvious by its President, Antonio Tajani's Public Statements, at the Official Opening of EU Parliament's Session, and by the Draft Resolutions Tabled then by most Political Groups of MEPs, on Monday Afternoon, 12 of March here, Followed by a Public Debate, on Tuesday 13, where EU's High Representative for External Action, Frederica Mogherini, stressed that all this concerned, now, "Afrin FIRST" (See: ..). - But, Despite Tillerson Spokesman's, Goldstein's Denial, Earlier this week, that the Out-Going USA State Secretary might have known about that Beforehand, nevertheless, according to White House sources, its Chief of Staff, Kelly, had Already Warned Tillerson by Phone that something was "Imminent", as Early as since Last Friday and Saturday, 9 and 10 March. + Thus, Tillerson suddenly Cancelled a previously Scheduled Meeting in one among the African States that he was Visiting in a Tour, last Saturday evening (10/3/2018), and, on Sunday, March 11, he "Cut Short" his African Tour, in order to Return immediately to Washington DC. >>> The Point is that, All these Series of apparently Converging Moves, Started precisely, the Same Day that a 1st USA - Turkey Experts/Diplomats Meeting (of Thursday and Friday : March 8 and 9) had Concluded, in Washington DC, where it was supposed to Deal, inter alia, particularly about Ankara's Claims for Turkish Army and/or Proxies to "Replace" Syrian Kurds (Allies of USA-led International Coalition against ISIS' Deadly Islamist Terrorists) throughout all or most of the Syrian Kurdish Region, accross the Syrian - Turkish Borders, (Starting by Afrin and continuing, eventially, by Manbij, etc). * On February, Tillerson had Faced Heavy Pressure by Turkey on that, very Controversial Issue, during his Latest Visit to Ankara, where he had met with Turkish President Erdogan, under Exceptionaly Strict Conditions of Secrecy : I.e. even withOut any American Interpreter, Nor Diplomat, but Only the Turkish Foreign Minister Cavusoglou serving also as .. Interpreter, Contrary to the Established US Practices, as Many had Noticed, then. This had been shortly Followed also by a quite "Hot" Press Conference, Next Morning, by Tillerson and Cavusoglou, where the American side was also Pressured in Public about alleged Past Promises (dating since the Barak Hussein Obama's era) to practically Drop the Kurds, After having Used them for the Fight against ISIS' Islamist Terrorists, (See ..). Tillerson diplomatically had prefered, then, to Postpone any Public Statement on that Controversial Issue, Pointing, Instead, to a Series of USA - Turkey Experts' Meetings, which were due to Start, in Washington DC, later on March. New US President Don Trump, has notoriously Based his Popular 1st "State of the Union" Speech, Earlier on January 30, in the US Congress, mainly on Economic progress and on the Defeat of ISIS' Deadly Islamist Terrorists, concerning Most Territory that they had previously invaded and occupied in Syria and Iraq. >>> This Latest Achievement, against a particularly Deadly Islamist Terrorism by ISIS' Cowards, (who used to Target Defenseless Civilian People in several EU Member States, Russia, USA, and various Other Countries also in Africa, Asia, etc), was, notoriously, Obtained also with the Decisive Help of Syrian Kurdish People on the Ground, (and their allies, in the "Syrian Democratic Forces", that they had created and leaded). Turkish sources were Now Sticking again in what they ambitiously Claimed to be "a Proposal", "Model" or "Road Map", "for the Issue of Manbij", during these Experts' Talks in Wash.DC, seeking to Extend Turkey's Army's role in, somehow, perhaps invading/occupying, mutatis-mutandis, also the Eastern Part of the Syrian Kurdish Region. However, they had already made a similar claim with Tillerson, Last February in Ankara, and he had replied, in public, that such issues would be simply "Discussed". - "But we doN’t know which path the New Staff will follow", Erdogan reportedly said on that now, (Calling "Staff" the New USA Secretary of State, former Congressman, Mike Pompeo, for whom New US President Don Trump has just said that he was "always on the Same Wavelength" with POTUS). + At any case, meanwhile, an important Visit that Turkish Foreign Minister Cavusoglu was due to make to the USA on March 19, was, now, "Postponed" sine die. gave a Crystal-clear and Strong Boost for USA to Resist to Ankara's pressure for UnEthical, UnJustified and Dangerous Concessions against the Best Local Allies on the Ground for the US-Led International Coalition to Fight ISIS' Deadly Islamist Terrorists cowardly Targetting Civilian People, which recently became Succesful, on 2017, notoriously thanks, particularly, to the Syrian Kurds-led "Syrian Democratic Forces" (SDF). i.e. Not Only in Afrin, but Also Elsewhere, f.ex. at Manbij, where Ankara notoriously Pressures the USA to Drop the Syrian Kurds and Replace them by Turkey's Military and/or its "Proxies" Jihadists Armed Gangs... (See: http://www.eurofora.net/newsflashes/news/euonturkeyamdafrin.html).